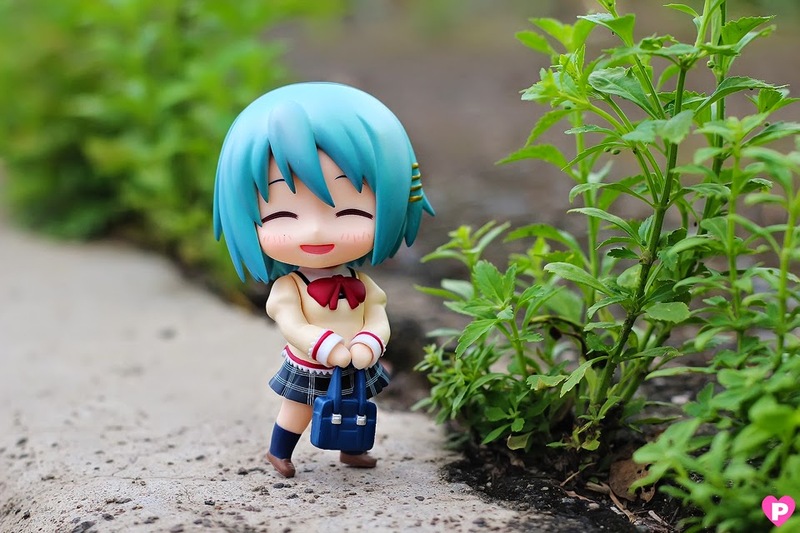 Nendoroid Sayaka Miki School Uniform Ver. 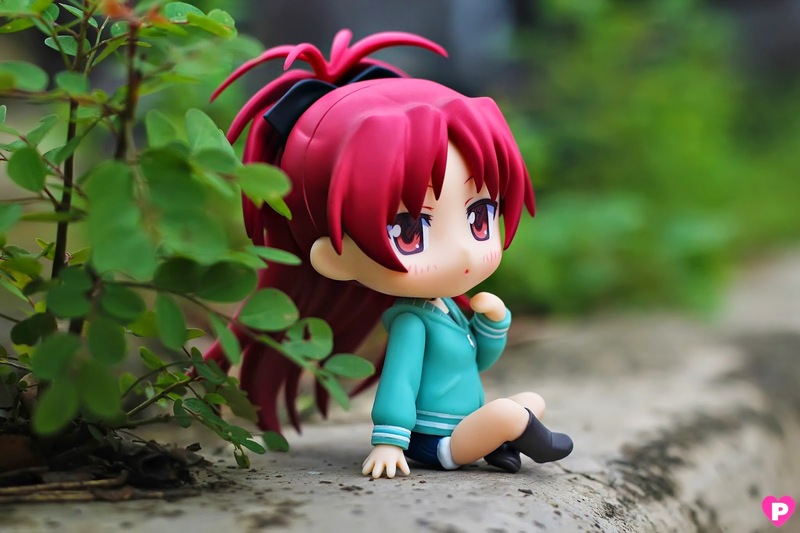 and Kyouko Sakura Casual Clothes Ver. 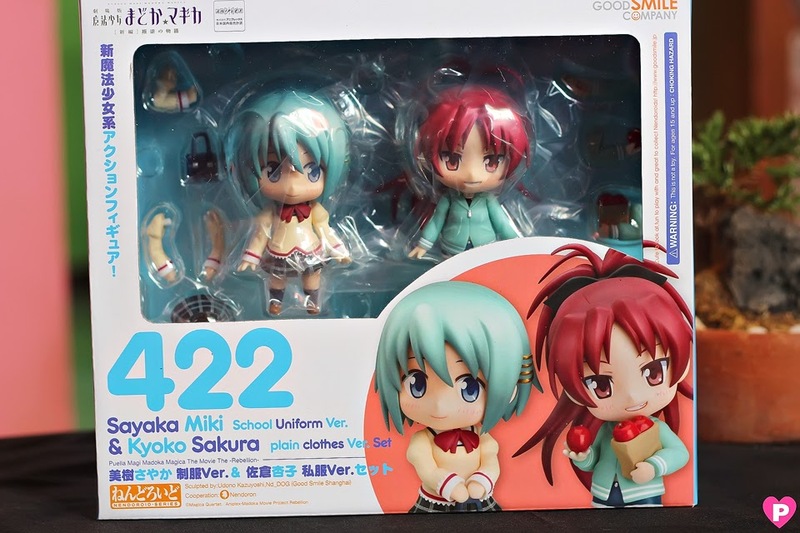 I think some magical girls made my wish come true! 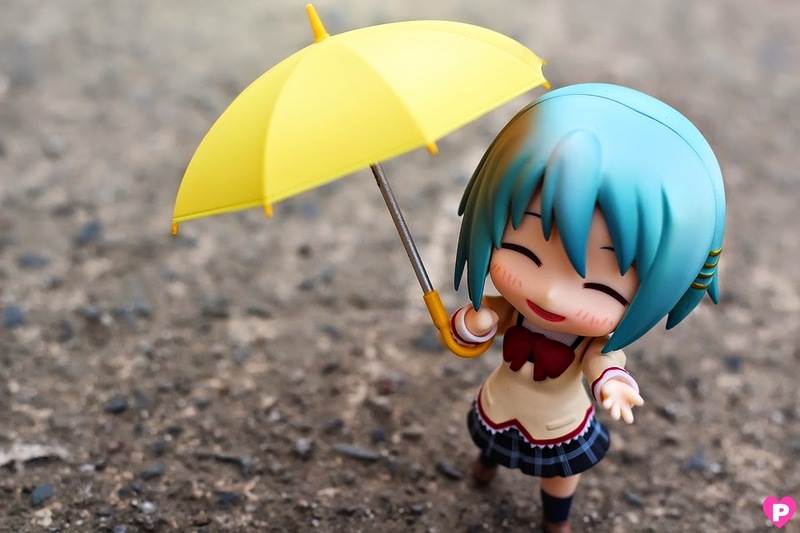 ...take photos of Summer WonFes exclusive items that is! 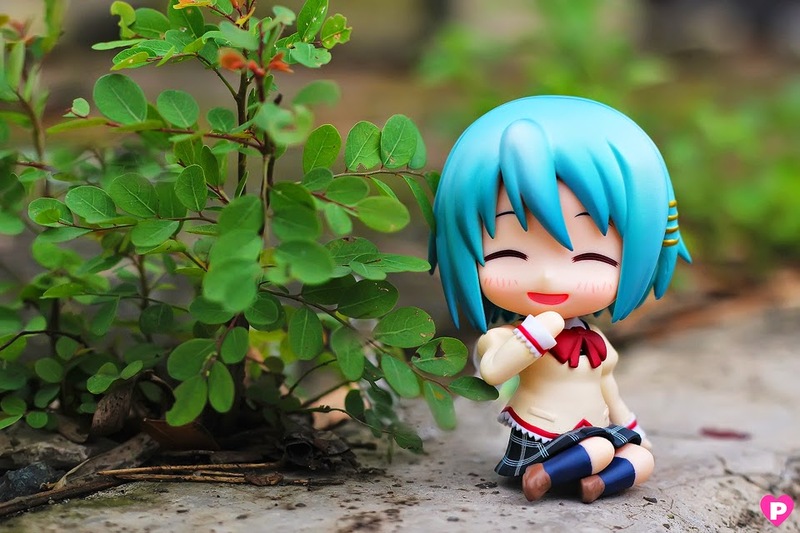 I wanted to share my happiness by showing this new set of photos. 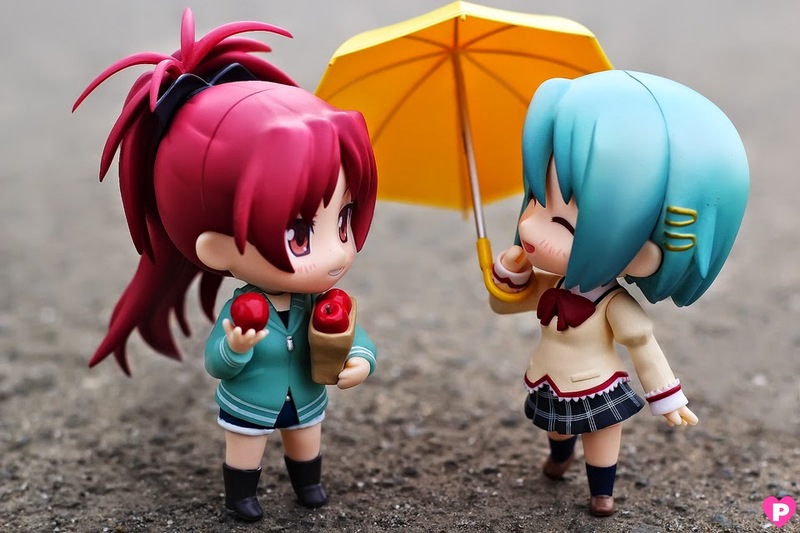 Today, the item on spotlight is Nendoroid Sayaka Miki: Uniform Version and Kyouko Sakura: Casual Version! 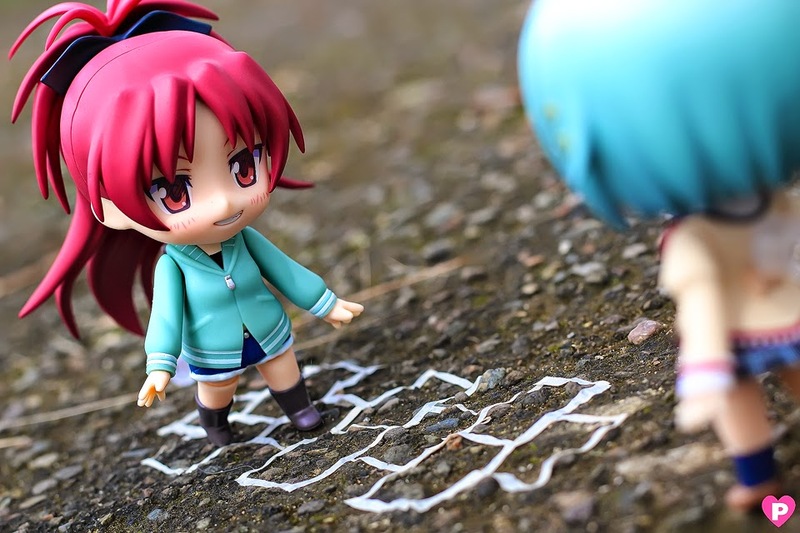 Let's now jump into the photos! 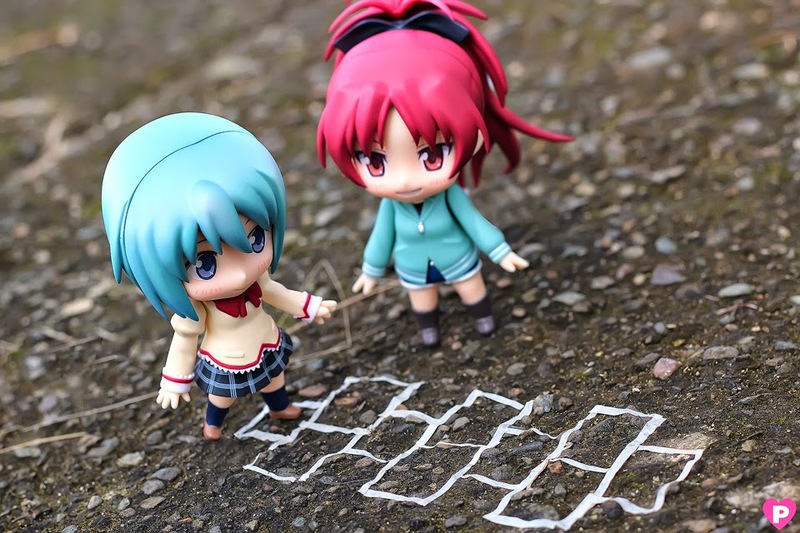 Have you seen Nendoroids play HopScotch? 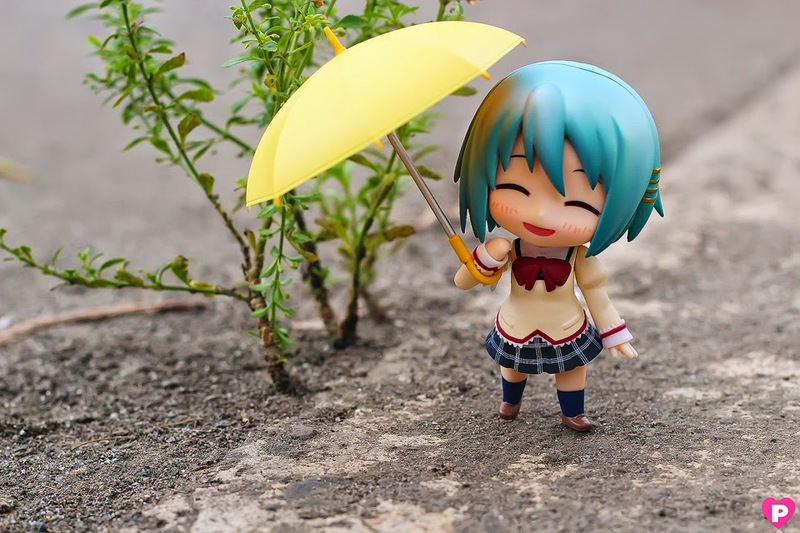 Sayaka is a pocketful of sunshine! I like how those apples are made! They look so shiny, I wanted to take a bite myself! 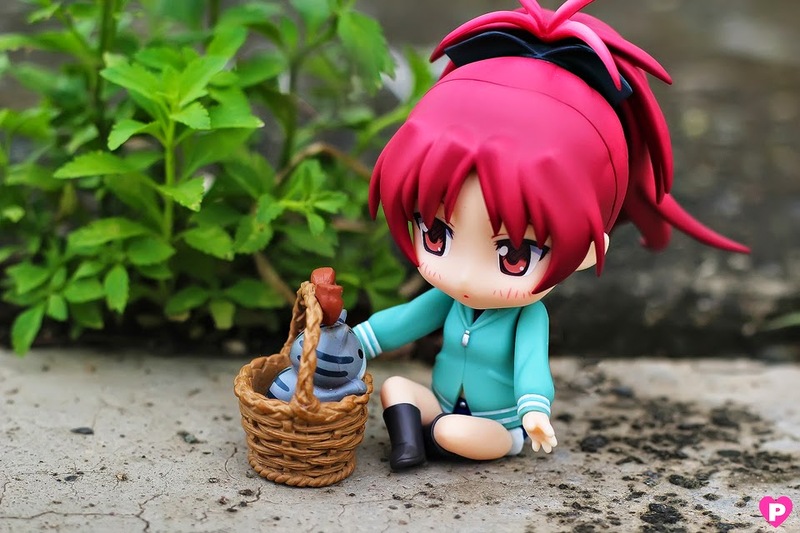 Kyouko found a cat! 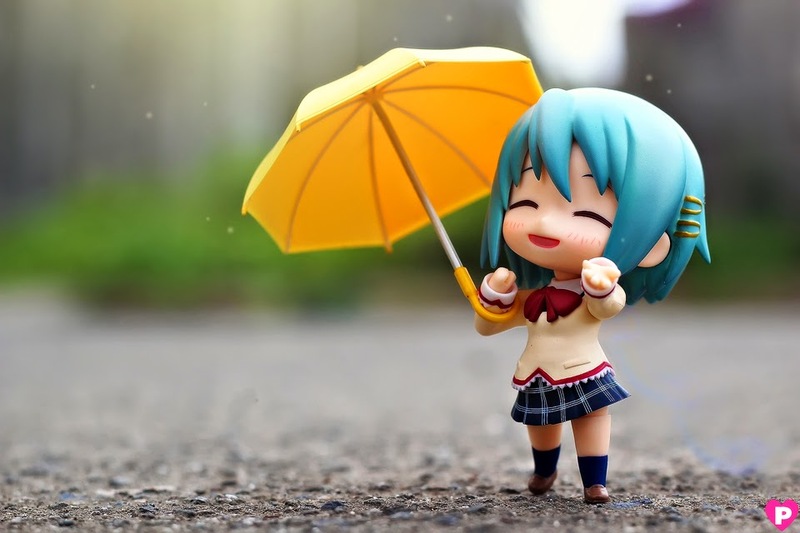 I wonder if she'll keep it! 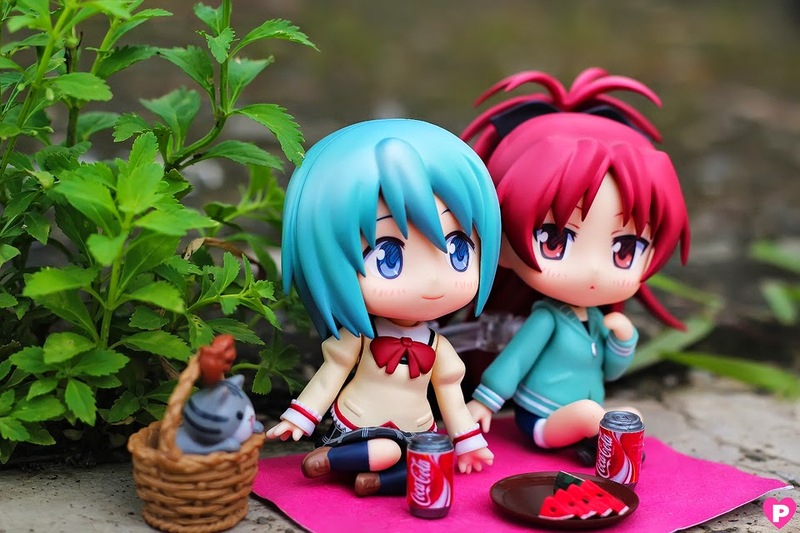 Picnic together outdoors. I like how you can get to let them sit so close together. 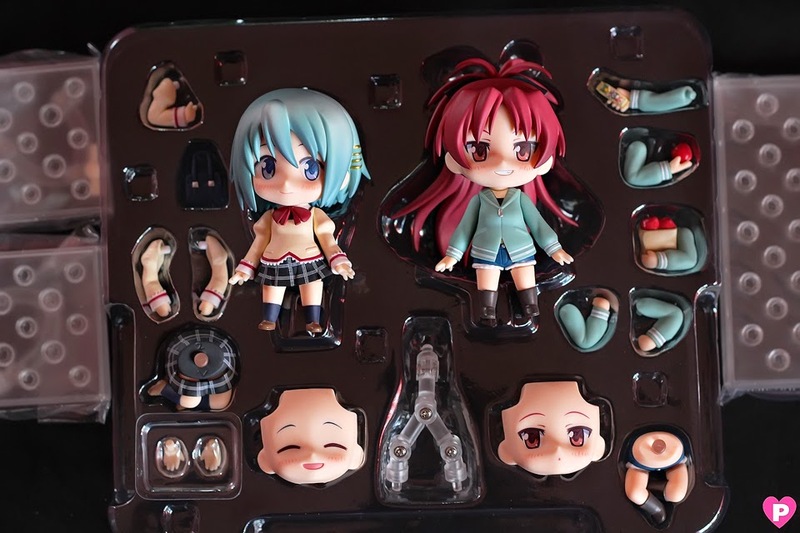 One thing I like about this set is a new stand for them. 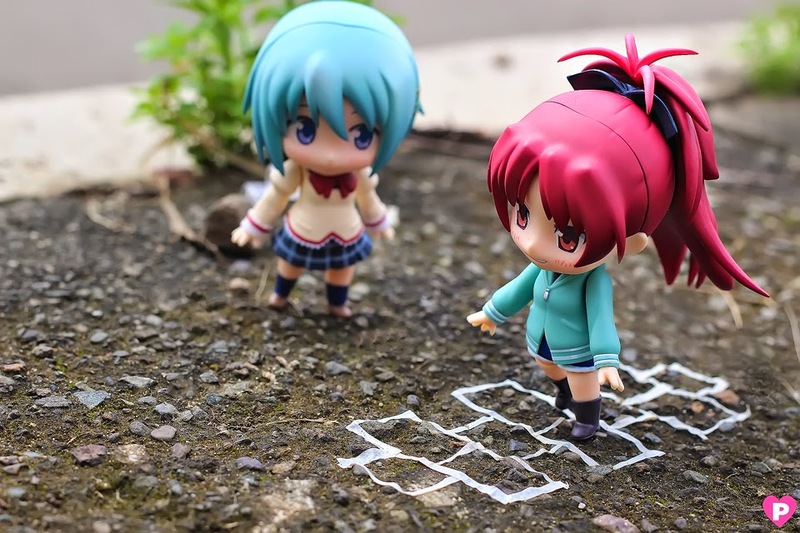 It makes them sit in place without tilting or falling. 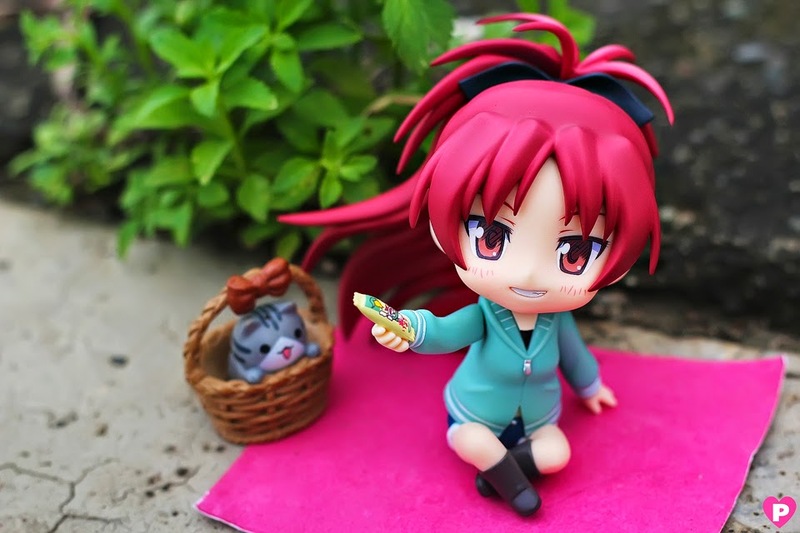 Kyouko wants you to have her snack!